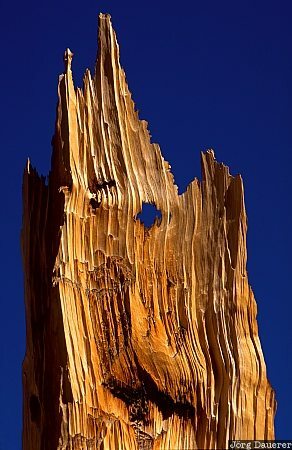 Closeup of a dead branch of an Ancient Bristlecone Pine seen in the high altitude of Great Basin National Park in front of a deep blue sky. Great Basin National Park is in eastern Nevada in the western part of the United States. This photo was taken on a sunny day in September of 2003.